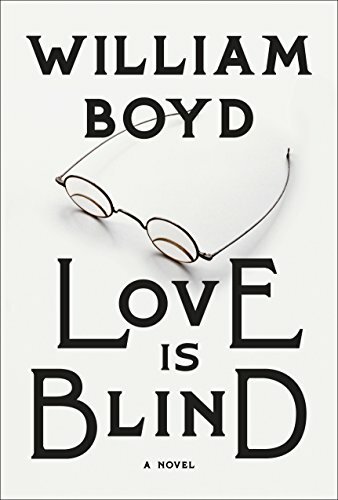 In Love Is Blind, William Boyd does what he does best: weaving with heartrending empathy the course of a life and the yearnings, passions, and catastrophes that determine its trajectory. In this case, the life is that of Brodie Moncur, a 24-year-old Scottish piano tuner at the turn of the 19th century. In Paris, Channon wants to be one of the established names of the piano-making world, but how? Brodie works hard to convince the renowned Irish pianist John Kilbarron (known as the “Irish Liszt”) to perform his concerts on a Channon, expertly tuned by Brodie of course, in exchange for compensation. Kilbarron, nearing 50 and considered past his prime, agrees. It’s a genius plan that revives Kilbarron’s career and invigorates Channon’s sales. It also irrevocably binds the two men to each other for better and worse. Brodie’s relationship with the hard-drinking, unpredictable, self-absorbed Kilbarron turns darkly complicated when Brodie falls in love with his seductive mistress Lika, a struggling Russian opera singer, and she, seemingly, falls in love with Brodie. Ironically, Brodie’s first encounter with Lika is unremarkable. Performing on stage, to Brodie, who has terrible eyesight and wears eyeglasses, she appears “at the very limits of both the lenses in his Franklin spectacles…an indeterminate blur of a figure.” She’s unseeable, unknowable. She’s out of reach. Brodie is reckless in his pursuit of Lika, a passion that takes him to St. Petersburg, Nice, Paris, Italy and ultimately the Bay of Bengal, each becoming, for various reasons “a place he has to leave.” He can brilliantly tune a piano by touch and by sound, but it’s his vision—his ability to see things for what and who they are—that betrays him. Reading Love is Blind is enjoyable on its face but, layered with hidden meanings, references, and homages worthy of a dissertation by an aspiring literary anthropologist, it’s also something more. For instance, Boyd sketches intriguing parallels between the characters of John Kilbarron and Malcolm Moncure. Both are arrogant, manipulative, and strangely pathetic. Both draw crowds from far and wide, Kilbarron for his piano playing, Malcolm for his fiery sermons. Kilbarron keeps a mistress. Malcom goes “a-whoring” in Glasgow where no one knows him. Both are heavy drinkers. Likewise, there are parallels between Lika and Brodie’s mother who died in childbirth. Brodie doesn’t remember her and wonders how she could have lived alongside his father, the “monstrous, self-absorbed spectacle.” Her face in a cameo seems like a mask. She’s unknowable, out of reach. Just like Lika. The Oedipal struggle plays out between Brodie and Kilbarron when they confront each other on a misty Russian field. The novel is also replete with silent nods to Anton Chehkov (Boyd has written that he keeps a photograph of Chehkov on his mantle). Chehkov, like Brodie, visited brothels and spent time in Nice for his health. One of Chehkov’s most passionate affairs was with an aspiring Russian opera singer named Lika. One might not expect a novel about a vision impaired piano tuner at the turn of the 19th century to be gritty, compelling, sensual, and heartbreaking, but Love is Blind is all of this and more. William Boyd is a master of the character biography, of evoking place and time, of expressing the human condition with its longings, its fleeting moments of bliss, its crushing inequities, and the illogical, enduring hope that drives us all. For devotees of Boyd’s novels, particularly Any Human Heart, Love Is Blind will not disappoint.